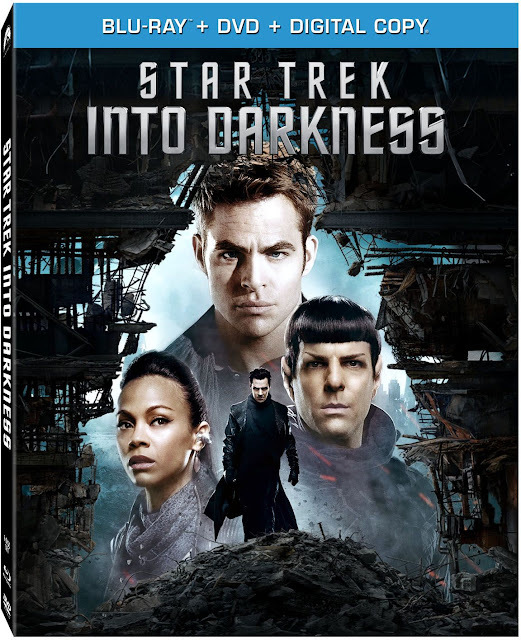 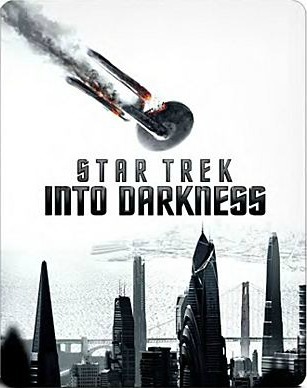 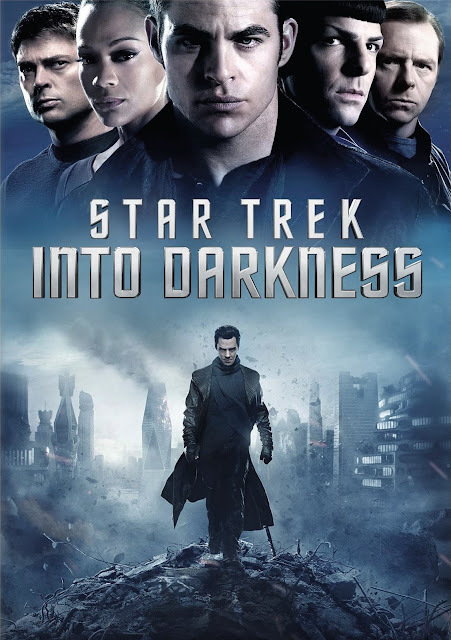 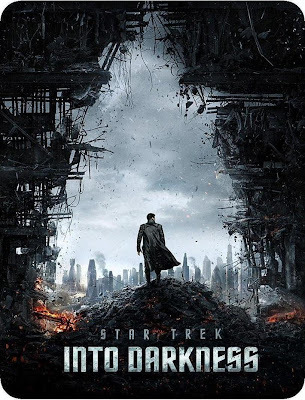 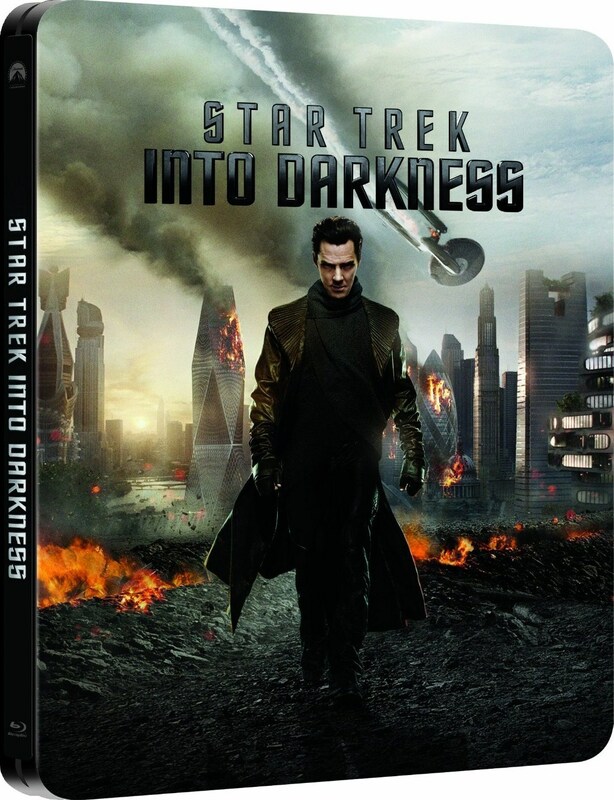 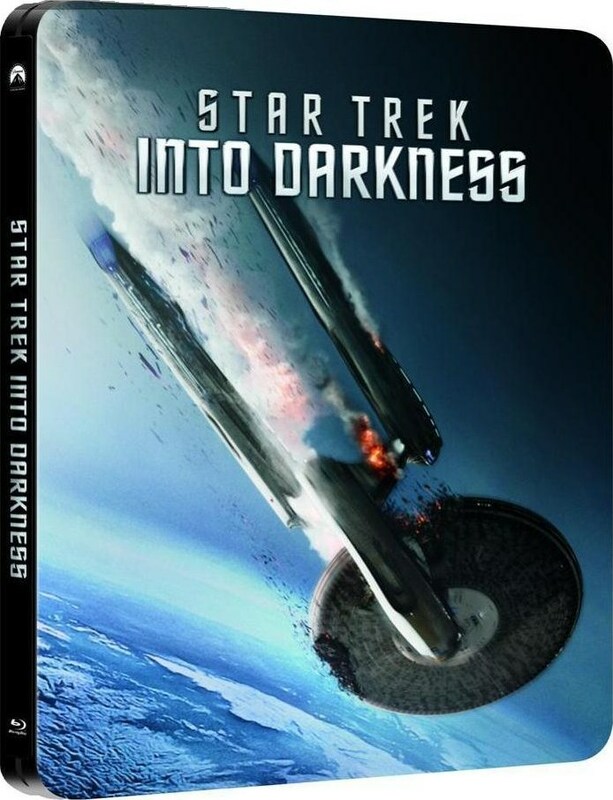 Paramount have released more cover art for the various home video releases of Star Trek Into Darkness around the world. 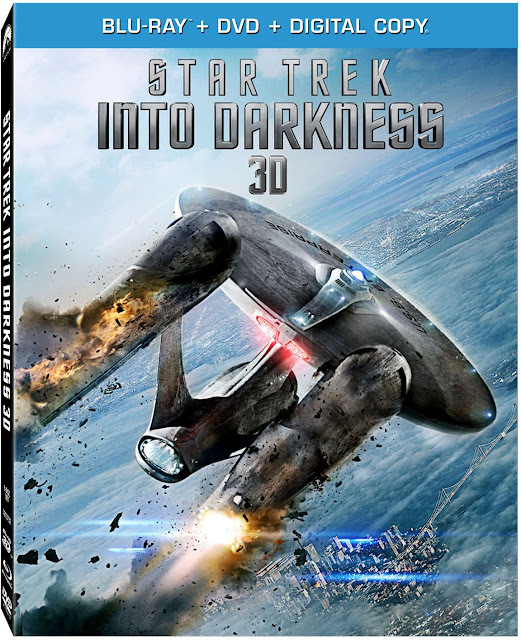 Here are the trio of new covers for the US 3D bluray, bluray, and DVD releases, which have used posters and promo photos in new combinations, or in the case of the 3D release, give us a new image of the Enterprise crashing towards Earth: Coming Soon and Play.com have posted images of the new covers. 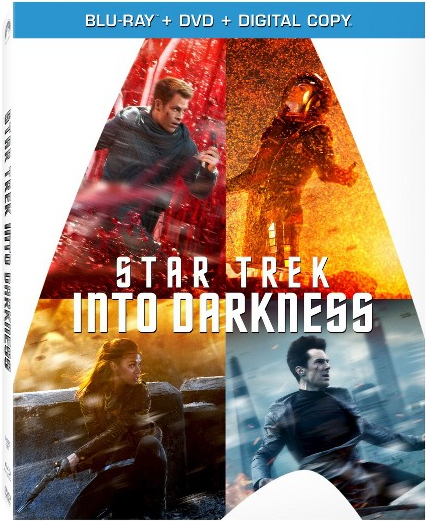 Curiously, if Play's listings are right the Region B release will use the same artwork (from the Region A DVD) for both the DVD and bluray versions. 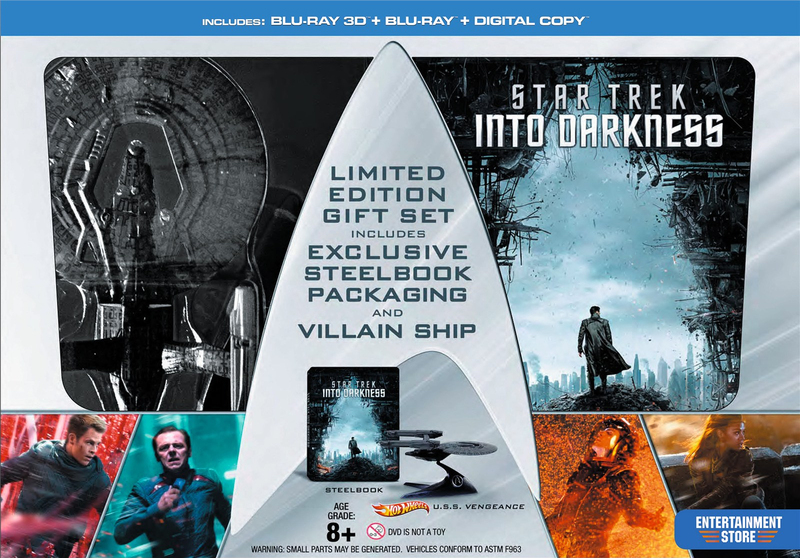 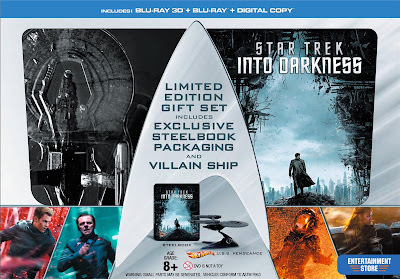 For more on the home video release of Into Darkness, see my previous article with details of the special features and other retail exclusive releases.